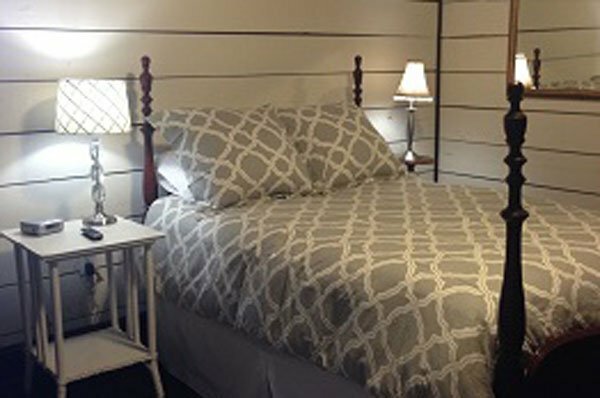 The Inn at Piggott’s new Market Loft rooms are across the square from The Inn at Piggott’s main building and are conveniently located above Piggott City Market. 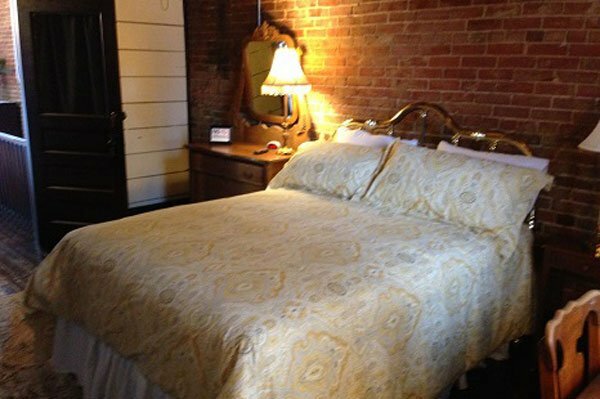 It is a lovely, old historic building that has been renovated to provide you with a comfortable stay in downtown Piggott! There are two guest rooms with their own baths and a large common area. The common area is equipped with a sitting area with a 50” television and a fully equipped kitchen. 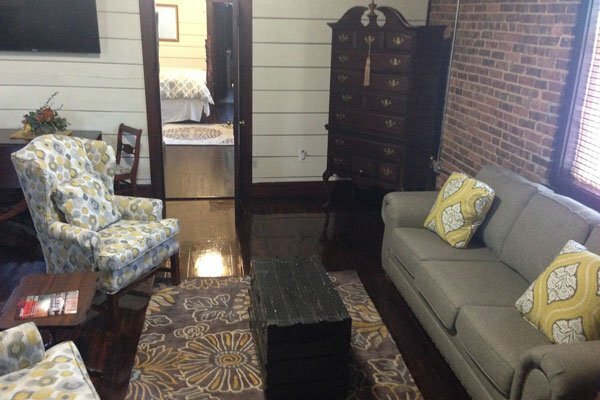 Rent one guest room or if you want the entire loft to yourself, rent both rooms! Breakfast is on your own since you have a kitchen or if you choose, go downstairs and sample wonderful baked goods, frittatas and specialty coffees at the Piggott City Market!